With a great deal of reluctance from the Illinois legislature, and only because a Federal Court order required Illinois to do it, the Illinois became the last state to adopt concealed carry. However, the Illinois legislature has apparently not learned from the other 49 states experience in adopting concealed carry laws. The Illinois legislation has no vision for protecting businesses in the state if something goes wrong at the work place as a result of an employee carrying weapons into the work place. 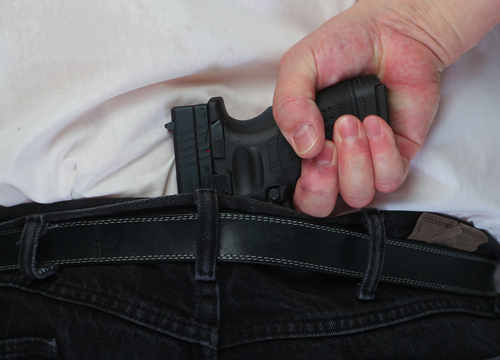 The Illinois Concealed Carry laws allow anyone to have a hidden, loaded hand gun in public. However, before you can do this legally, you must get a permit to carry the concealed weapon and a permit requires 16 hours of training and a complete background check. There are certain exceptions. Concealed weapons will not be allowed in schools, playgrounds, bars, casinos, transit buildings, and government buildings. Property owners, which include businesses, can elect whether to prohibit concealed weapons on their property and must post a sign advising people that concealed weapons on the property are prohibited. The problem for employers is that in order for a person to carry a concealed weapon, the gun has to be completely or mostly concealed from view, which means that the weapon must be kept under clothing or in a purse or bag. So What Are Employers To Do? Employers should be adopting a workplace weapons policy that prohibits weapons from being brought into the workplace. As long as the employer, as well as its managers and other employees, have no knowledge that anyone is violating this policy, then the employer should not be held liable for anything that happens in the workplace. On the other hand, if employers or business’ allow conceal carry in their premises, they maybe in a questionable position if anything occurs in that building or workplace. It should be noted that the court law which struck down the Illinois Prohibition on concealed carry and ordered Illinois to adopt a conceal carry law, did not decide that the second amendment guarantees a right to carry a weapon in the workplace. Instead, the court decided that citizens have a right to carry concealed firearms in public or outside their home. This subject will be of considerable interests to business owners in the future and we are encouraging our clients who own businesses to consider adopting policies that address the carrying of concealed weapons in a workplace.